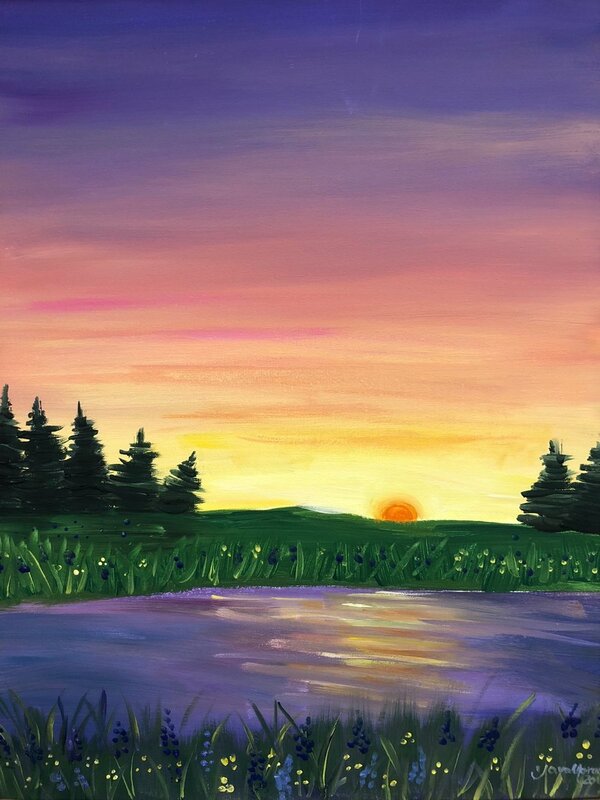 Last Friday: Family Paint Night! 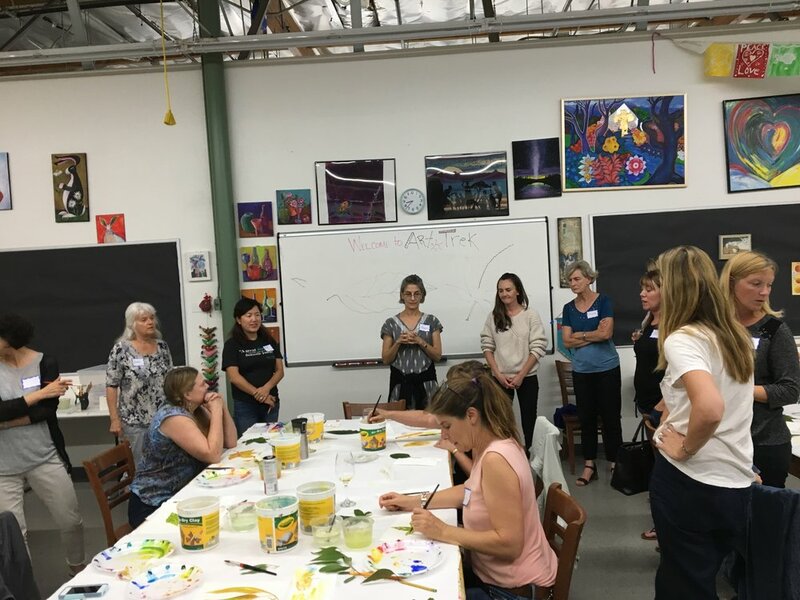 We had such a blast last Friday at our monthly Family Paint Night event from 6:00-8:30pm. 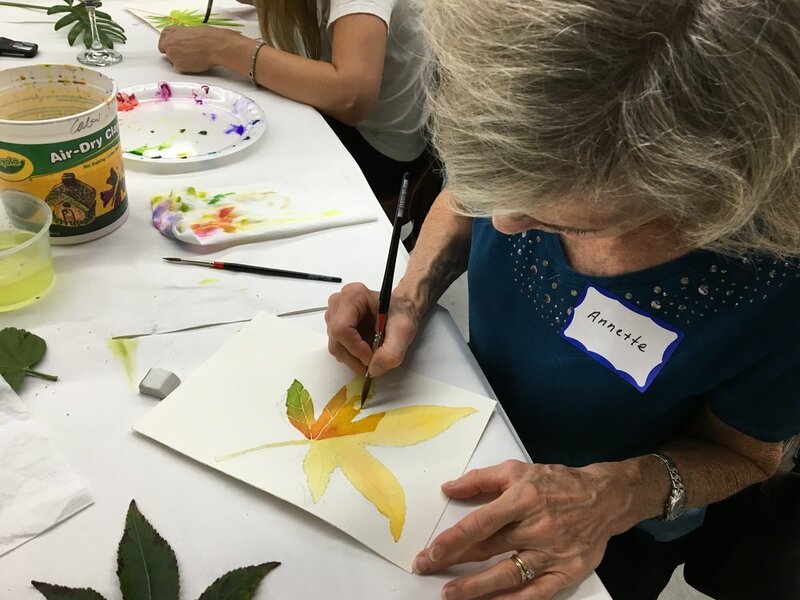 In this workshop, attendees spend the evening designing and creating a work of art with the guidance of our seasoned instructor. 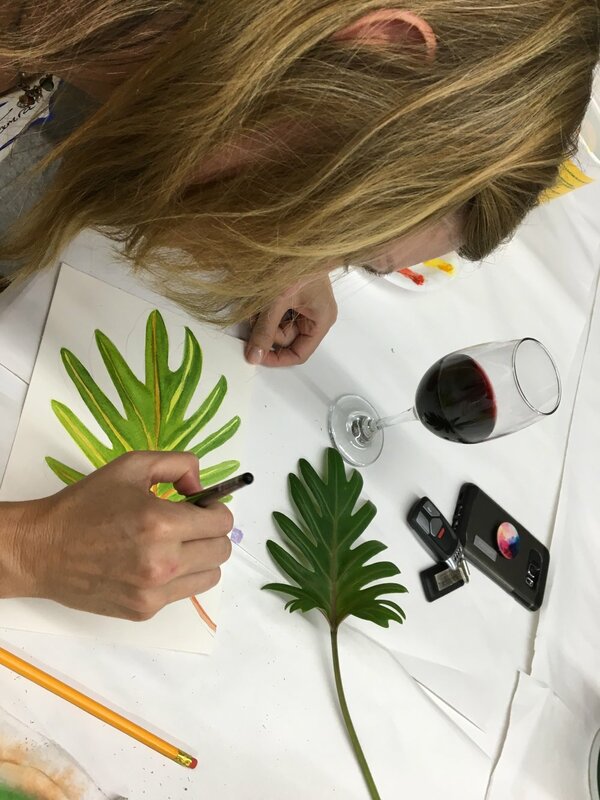 The evening includes desserts and drinks for guests as well as all art materials for the workshop! 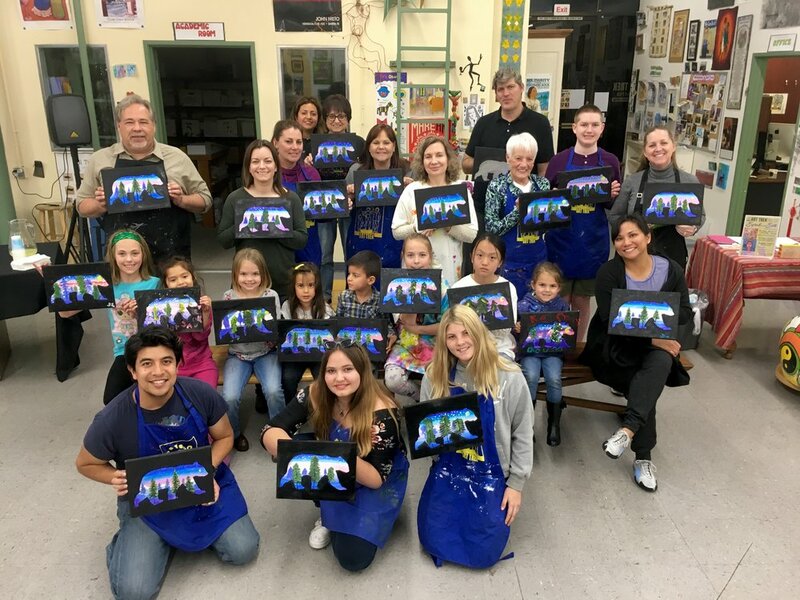 See photos below from past Family Paint Nights! 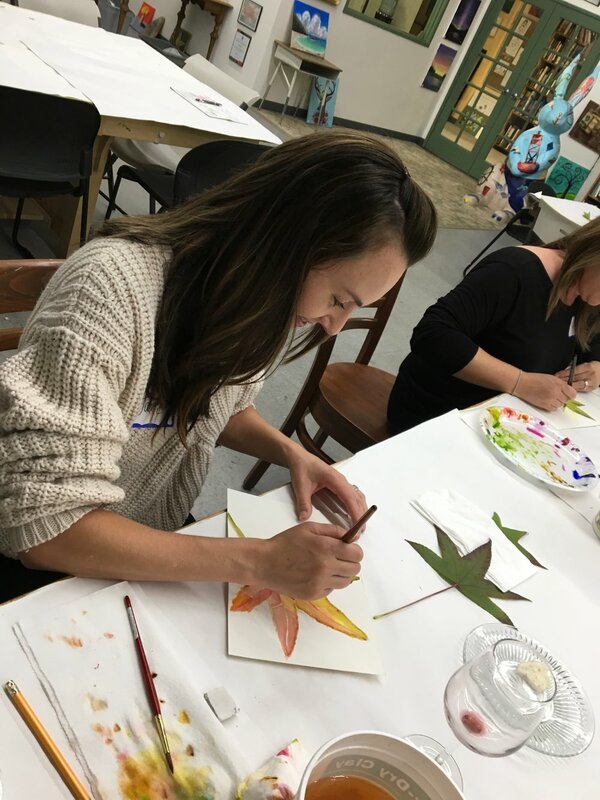 Posted on March 5, 2019 by Cordelia Miller and tagged Art Trek Family Paint Night recap join us paint night directed painting. 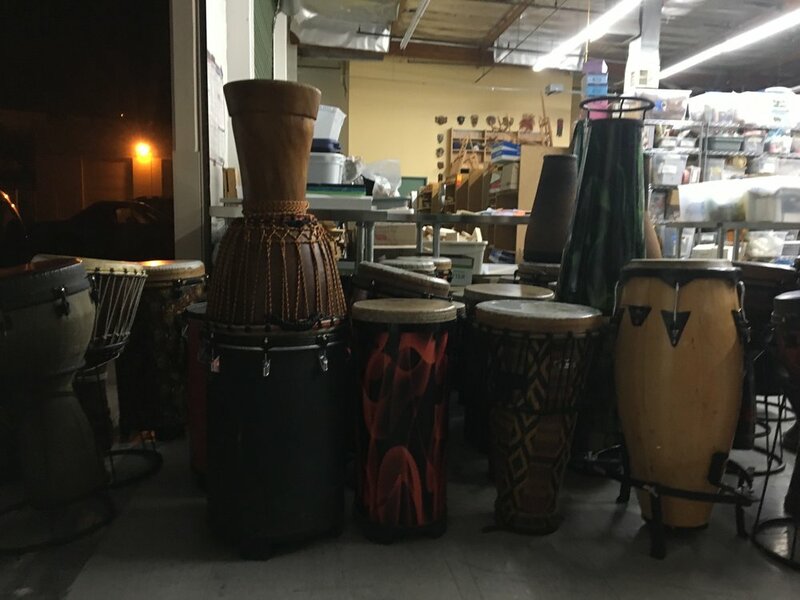 Throwback Thursday - DRUM NIGHT Recap! 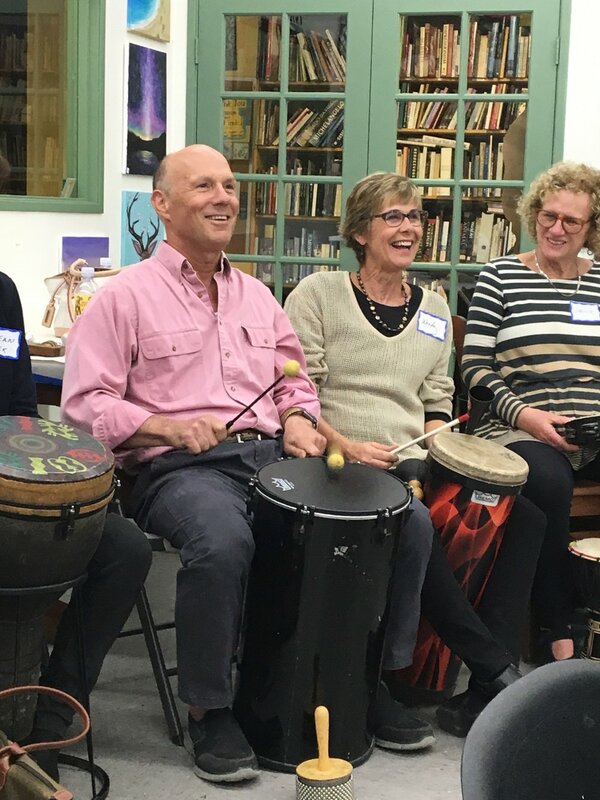 November 7, 2018 at Art Trek, we hosted our first Drum Circle. 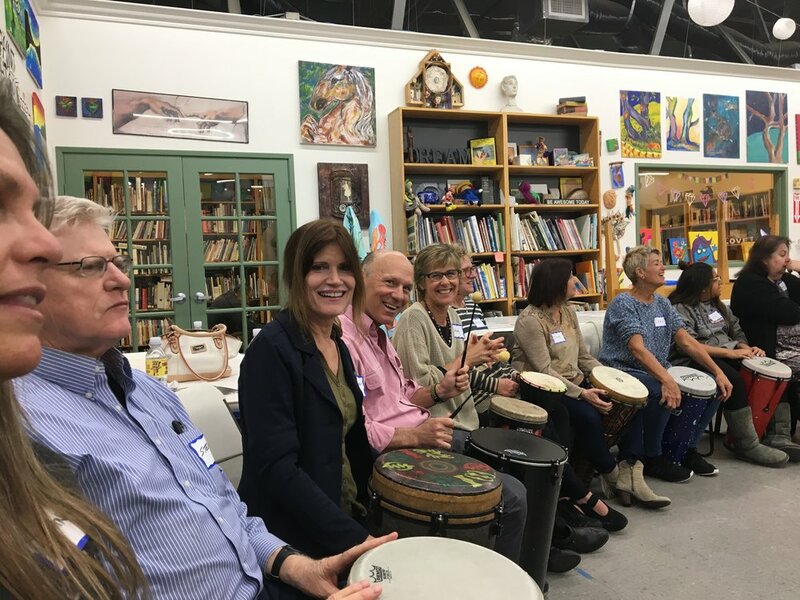 Sixty people ranging in age from 7 to 78 gathered here to raise funds for Art Trek and One Spark Academy in an extraordinary way. We spoke to each other through rhythm. 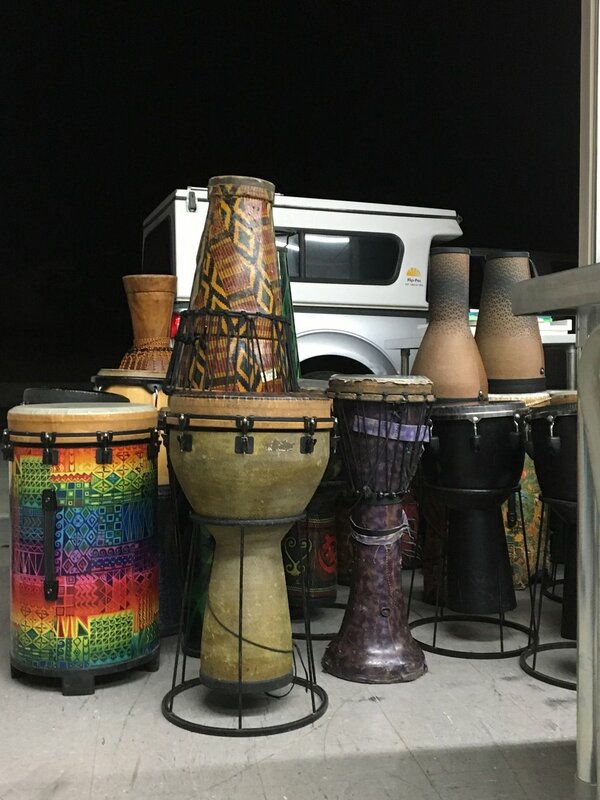 As we were connecting in the drum circle, we did not realize that within hours, we would be connecting through tragedy. That same night, the Borderline shootings brought the unthinkable to our doorstep. In the days that followed, we endured fires, evacuations, and more loss than we could ever imagine. In the darkest times, our true spirit shines through. 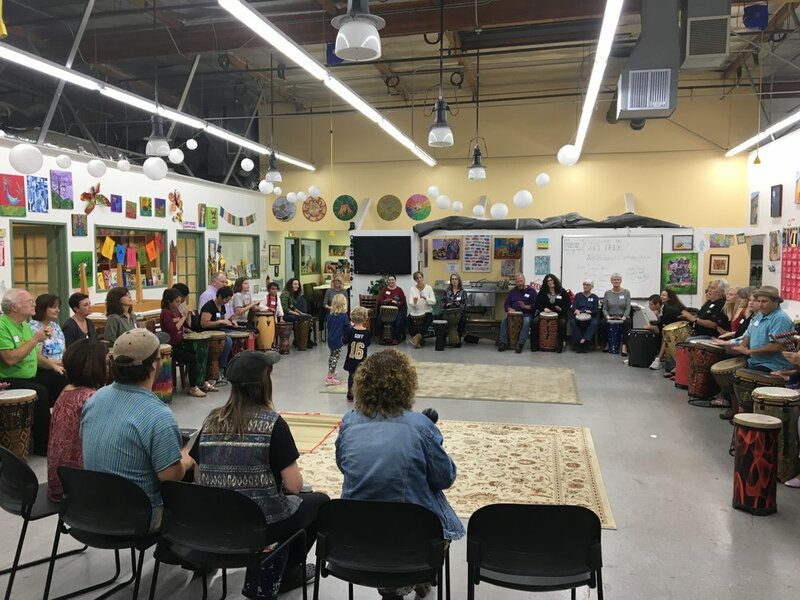 As we mourn the terrible loss of lives and homes, we find ourselves stronger together as we step up and say, “How can I help?” The Drum Circle was a microcosm of what we know to be true about our community; we are made up of good people and we are here for each other. To donate to victims of the Hill Fire, Woolsey Fire, and Borderline 12 visit Ventura County Community Foundation. 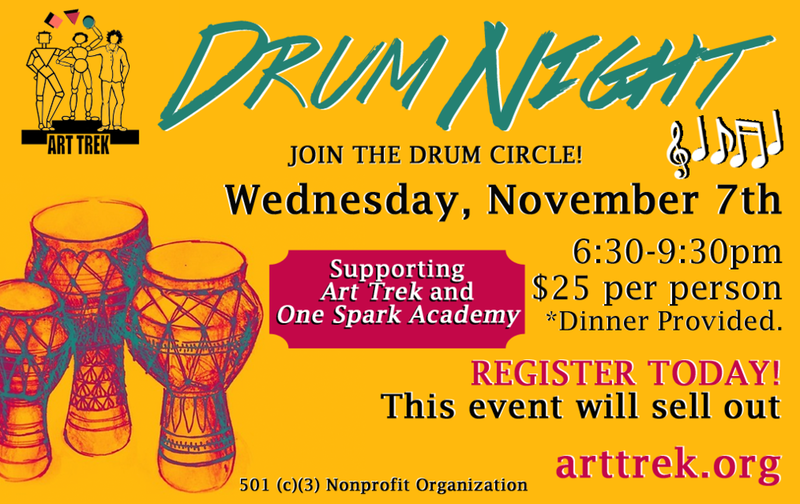 Posted on December 6, 2018 by Cordelia Miller and tagged Art Trek Drum Night recap fun fundraiser One Spark Academy drumming drum circle. 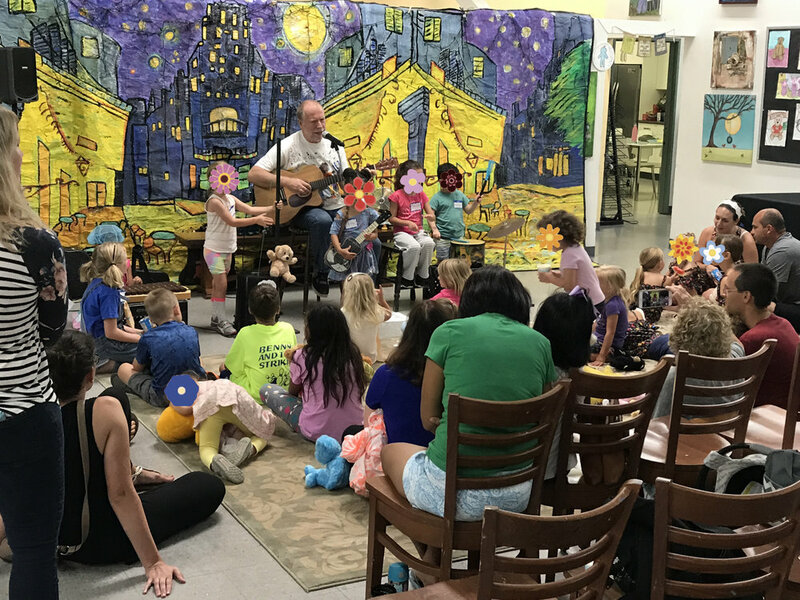 We had so much fun at the Teddy Bears' Picnic and Children's Concert! What a great day! 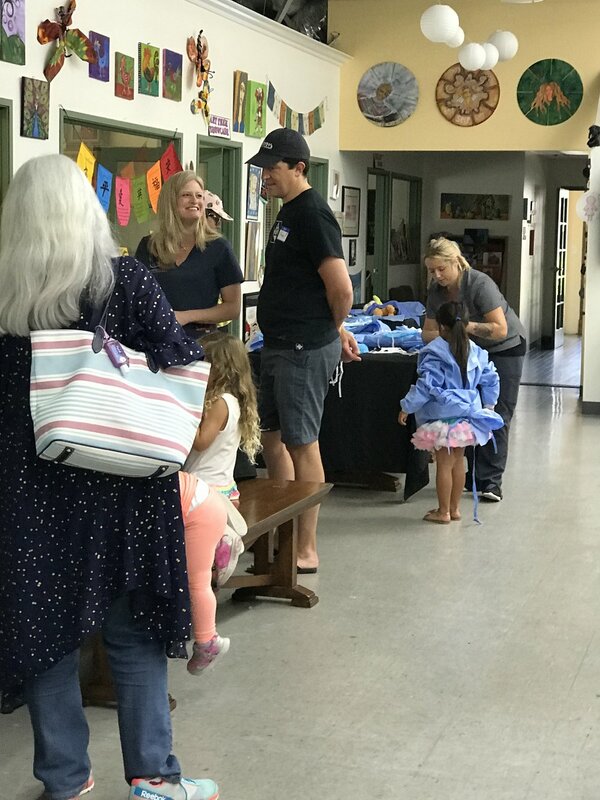 Thank you to everyone who came out to the studio this past Saturday for the fun and whimsical Teddy Bears' Picnic and Children's Concert! 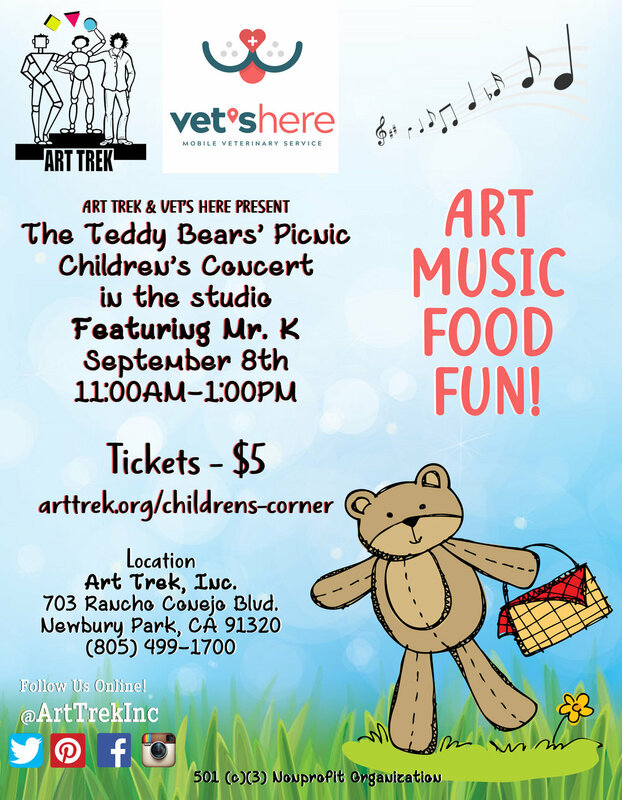 We partnered up with Vet's Here to bring this fabulous event to our community; to help children learn a thing or two about taking good care of their teddy bears with the Mobile Vet's Here Teddy Bears' Surgery Center, an educational library corner brought to you by the Thousand Oaks Library, and to enjoy the ecstatic and interactive concert with Mr. K! Click Here to receive $25 off your next visit to Vet's Here. 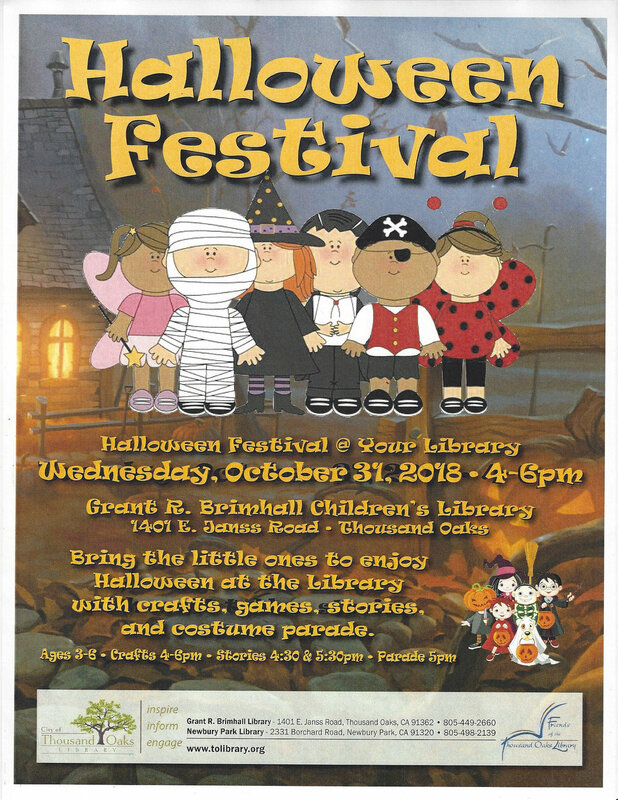 Click here to see all of the photos from this event! 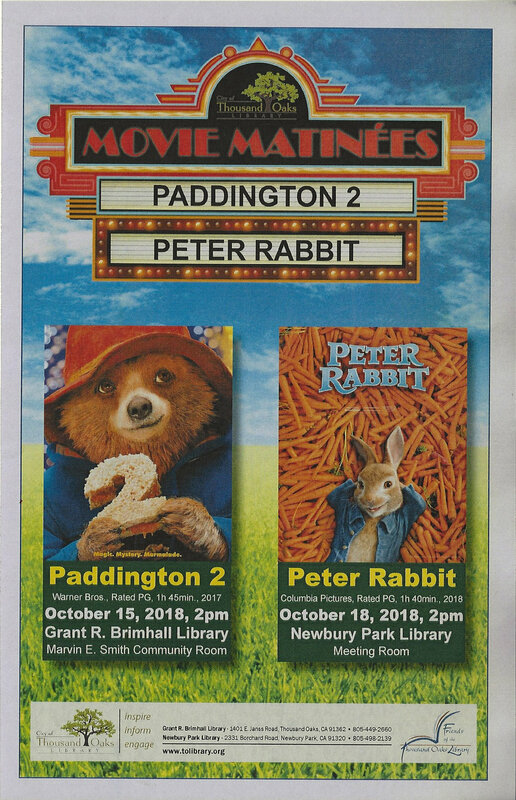 Posted on September 10, 2018 by Cordelia Miller and tagged Art Trek Teddy Bears' Picnic Thousand Oaks Library Vet's Here Conejo Valley recap. 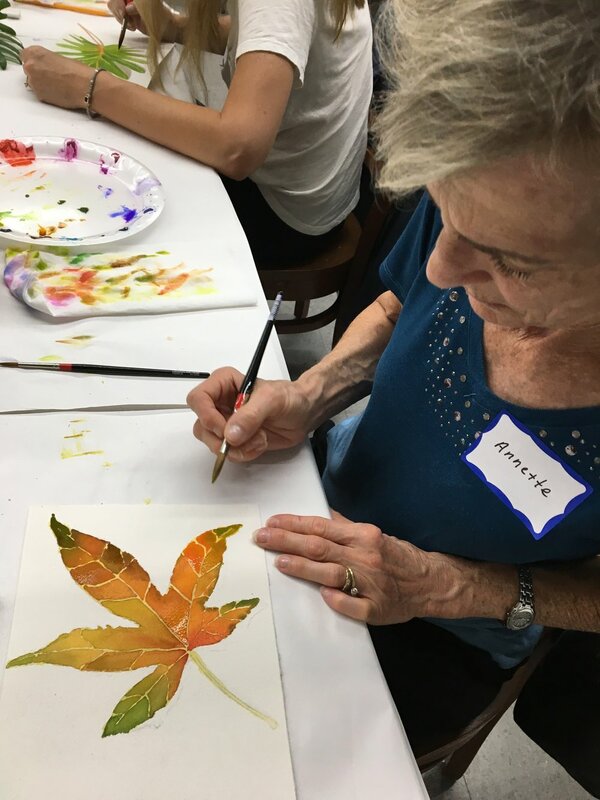 Upcoming Events in our Studio! 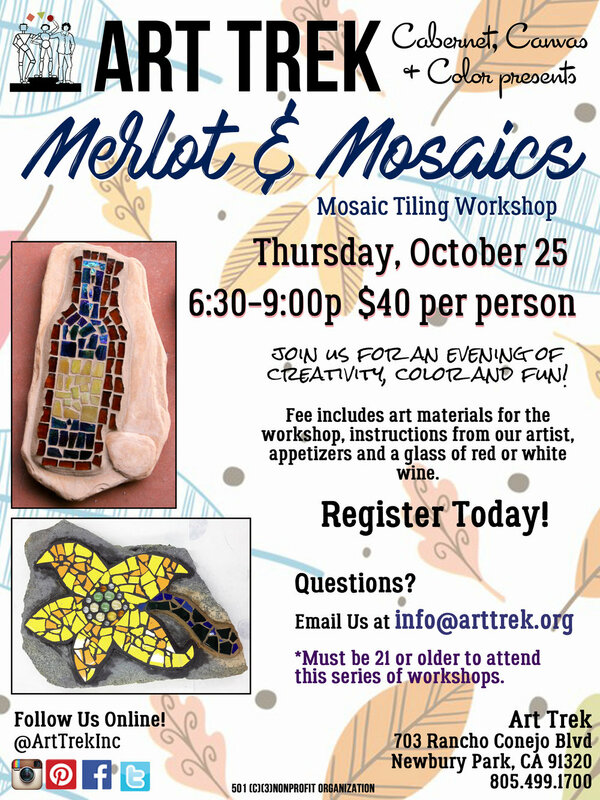 Click the images below to learn more and sign-up! 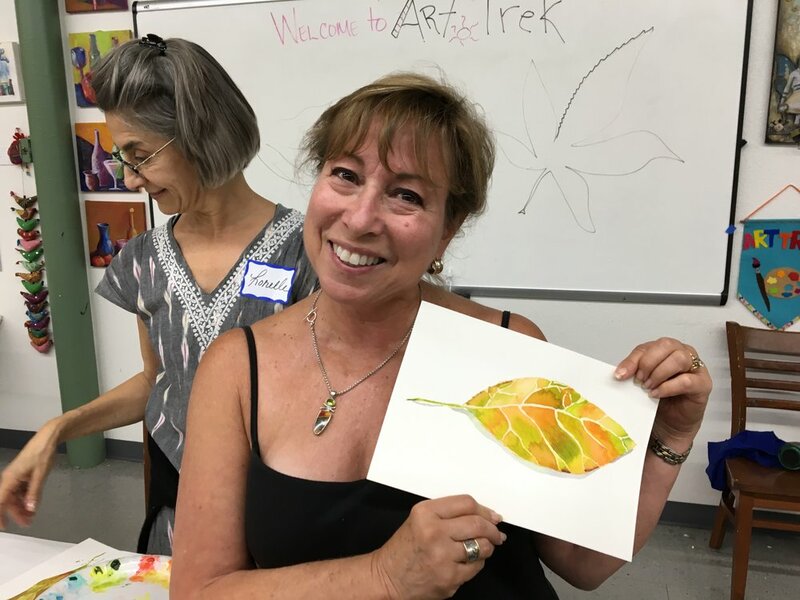 Posted on August 12, 2018 by Cordelia Miller and tagged Art Trek $5 Friday Community Art Night Paint Night for Teens Scrapbook Soiree Cabernet Night Teddy Bears' Picnic. 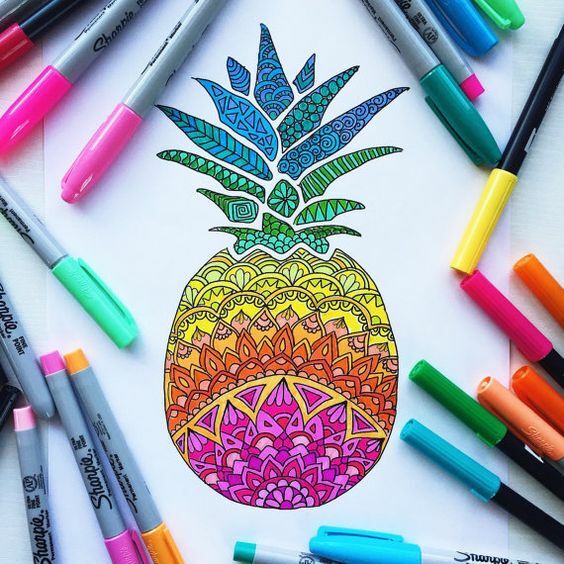 Wow, Summer is flying by! 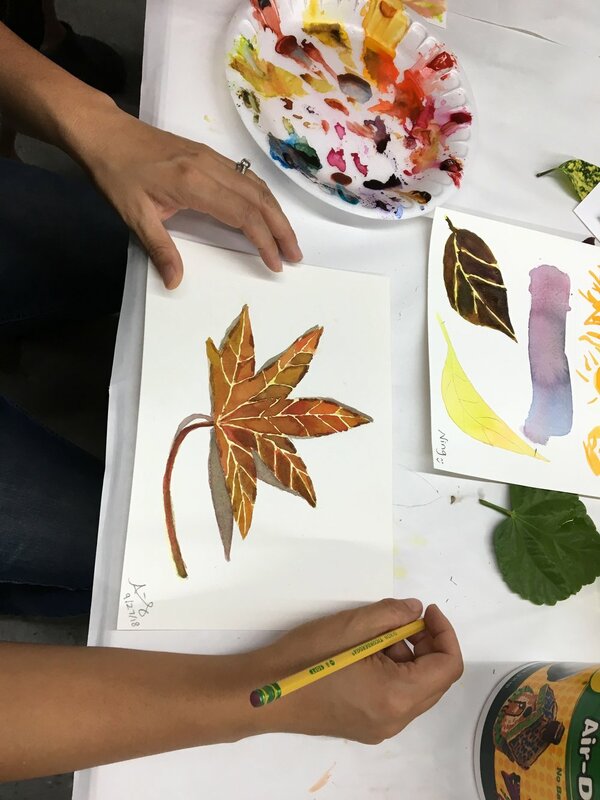 We are having such a blast at our Summer Art Camp! 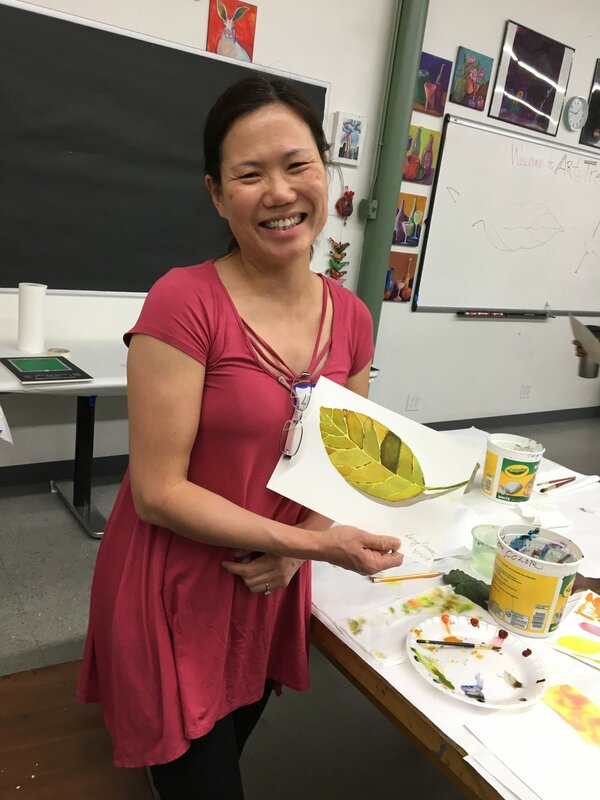 We are going to #ThrowbackThursday to last week (Week 5) of Summer Camp - campers created everything from Greek Mythological Vases on cardstock to Mona Lisa Smile (mixed media on canvas). Check back next week for Week 6 overview. Can't wait! 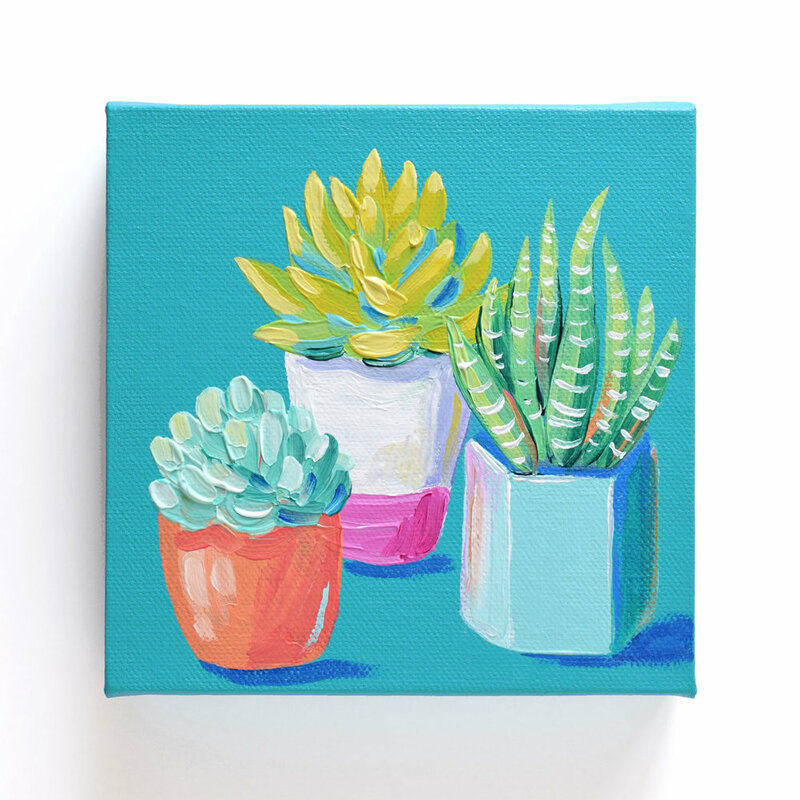 Posted on July 26, 2018 by Cordelia Miller and tagged Art Camp Art Trek Summer Art Camp Week 5.